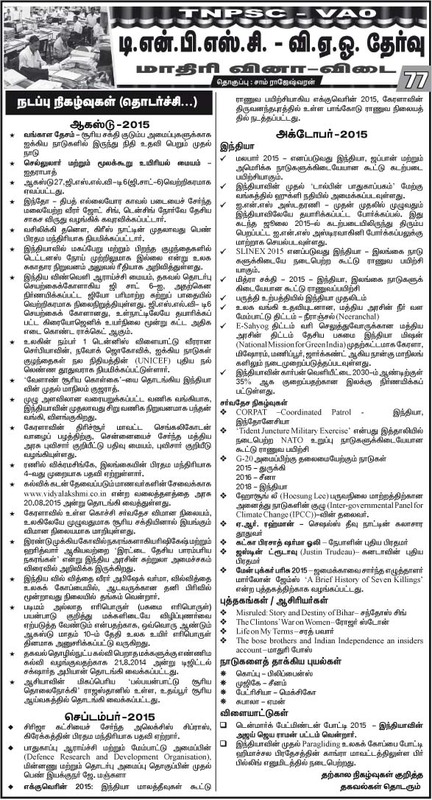 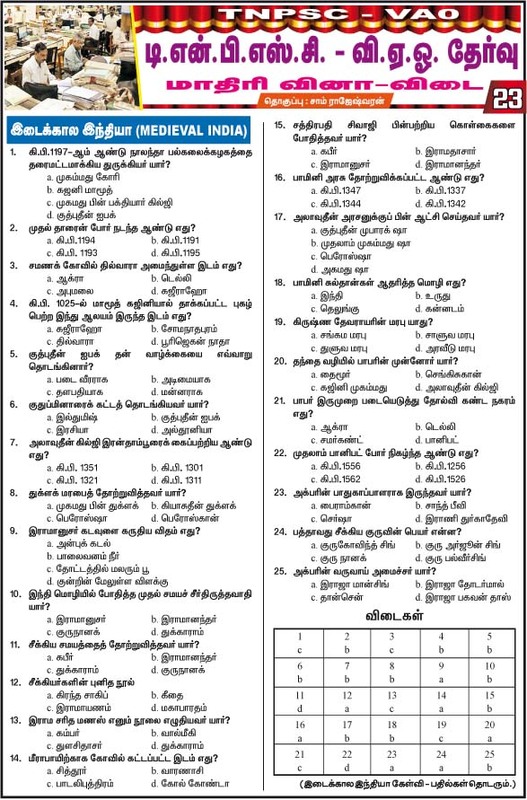 Dinathanthi Newspaper and Appolo TNPSC Coaching Centre, Chennai Jointly publish Model Question Papers for TNPSC VAO Exam 2015. 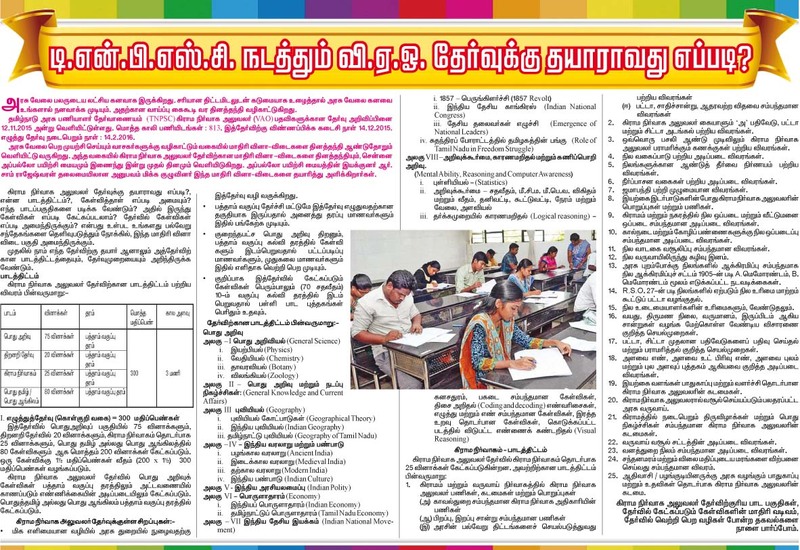 The TNPSC Model Questions and Study Materials are prepared by team headed by Mr.Sam Rajeswaran, Director of Appolo Study Centre, Chennai. 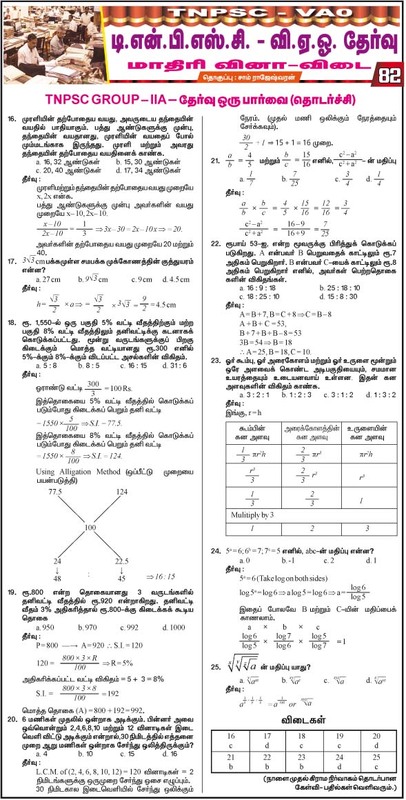 The same team published Model Question Papers for TNPSC VAO Exam 2014, TNPSC Group 4 Exam 2014 and Tamilnadu Lab Assistant Exam 2015. 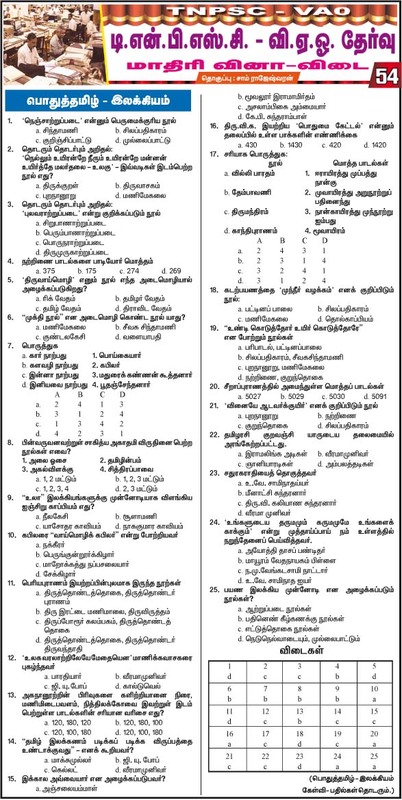 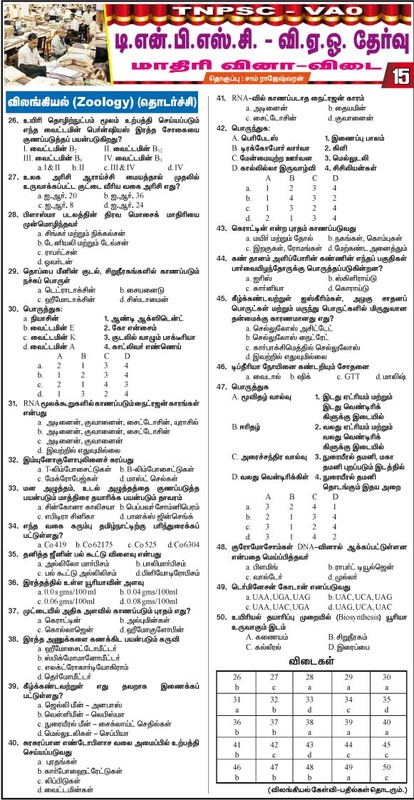 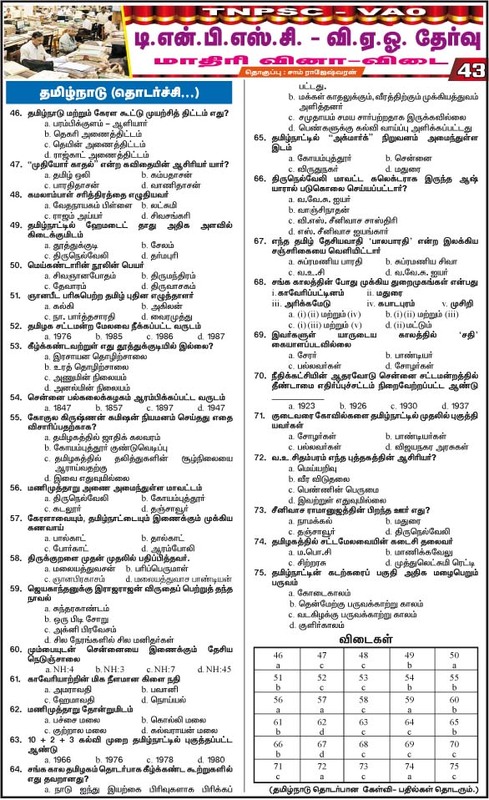 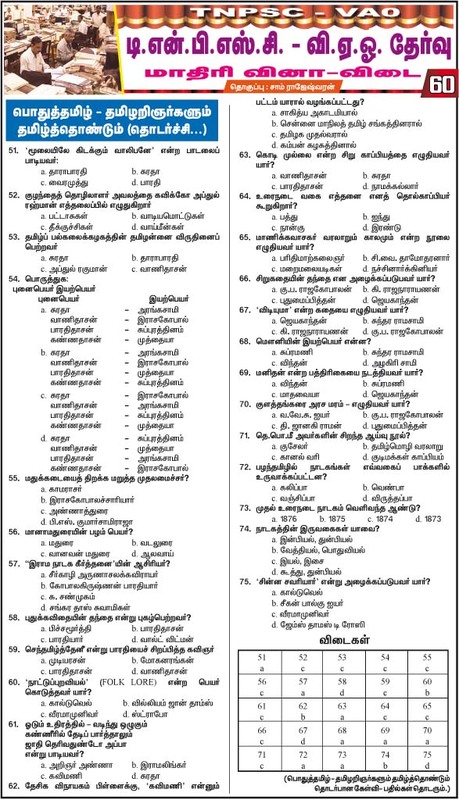 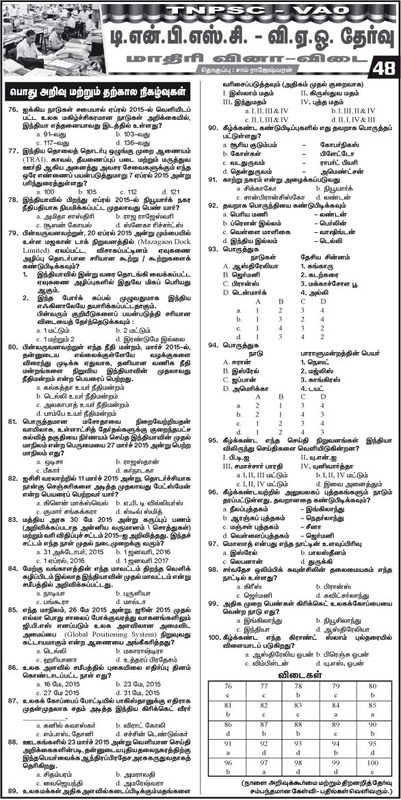 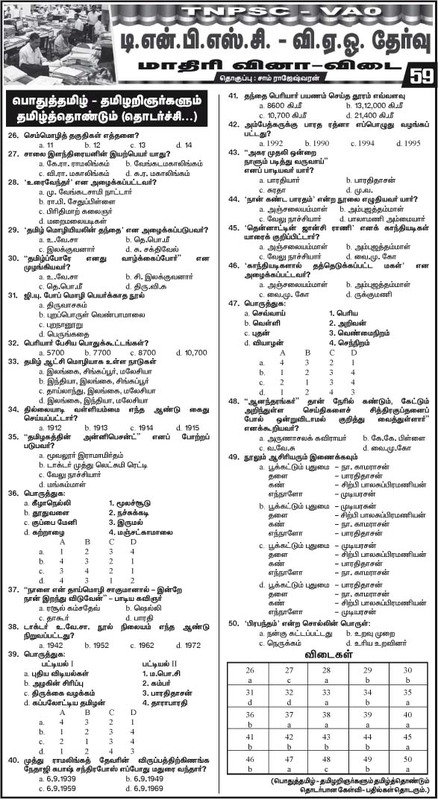 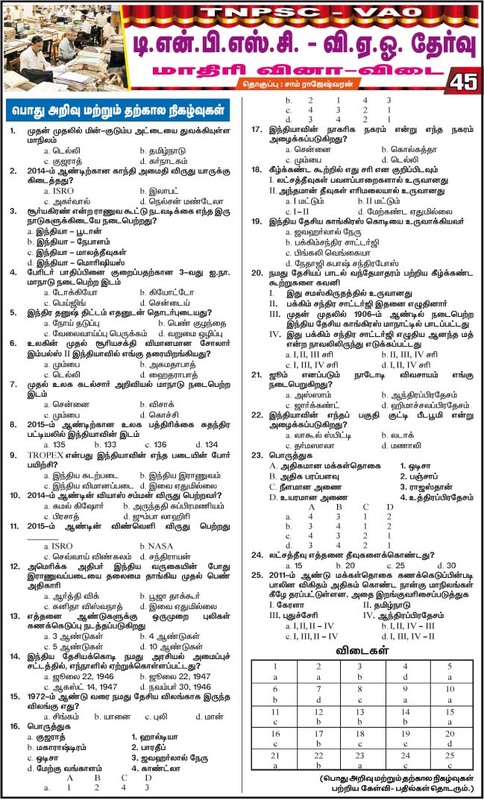 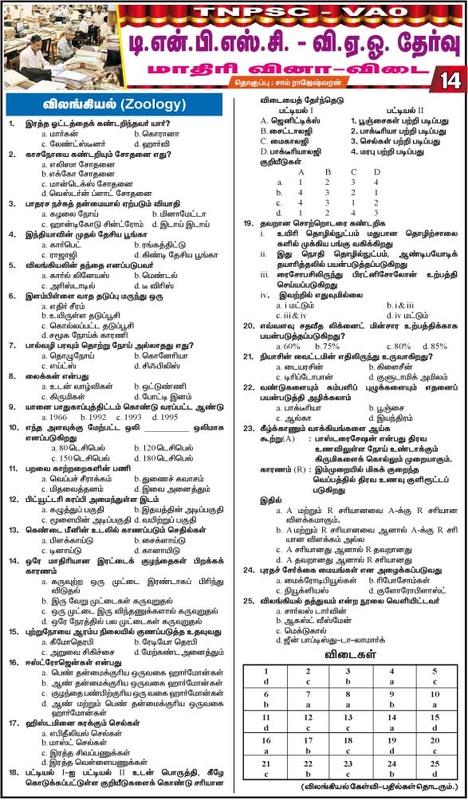 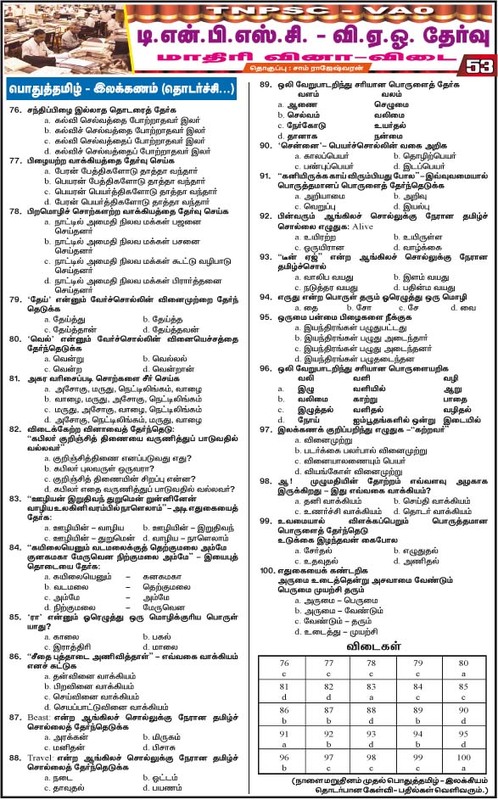 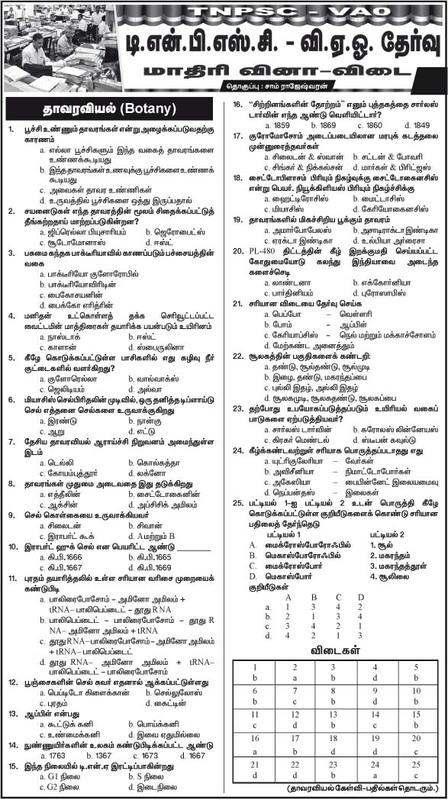 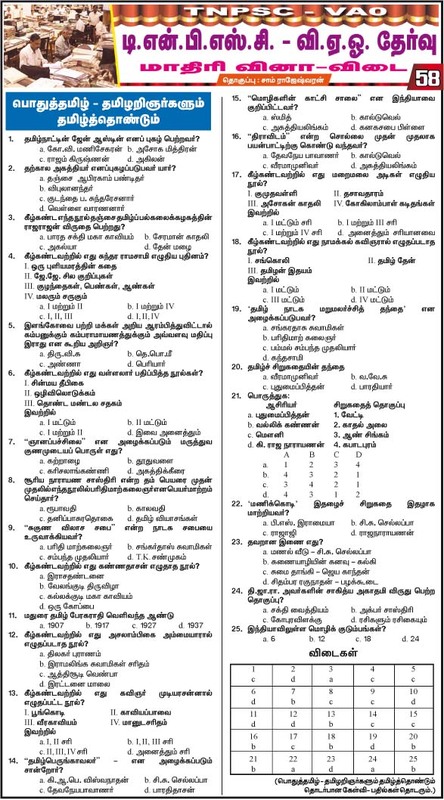 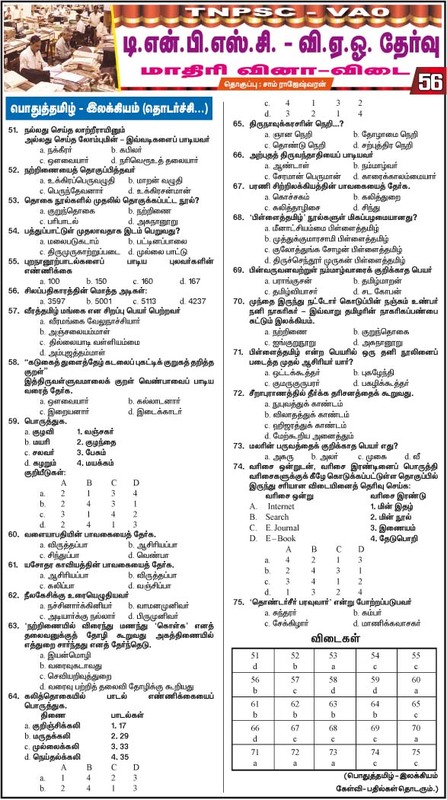 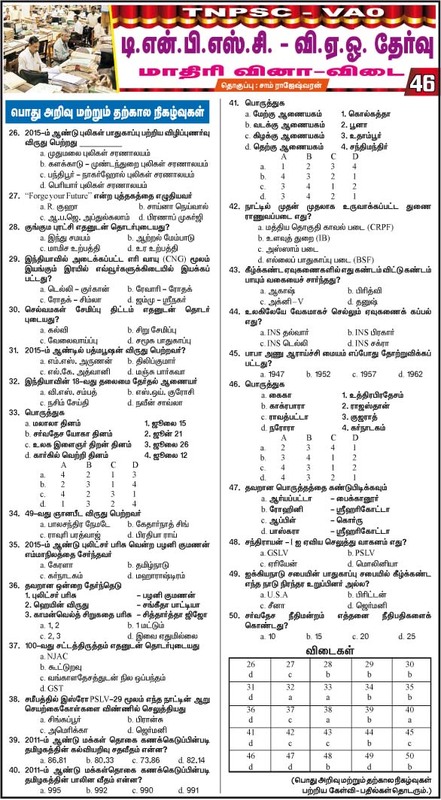 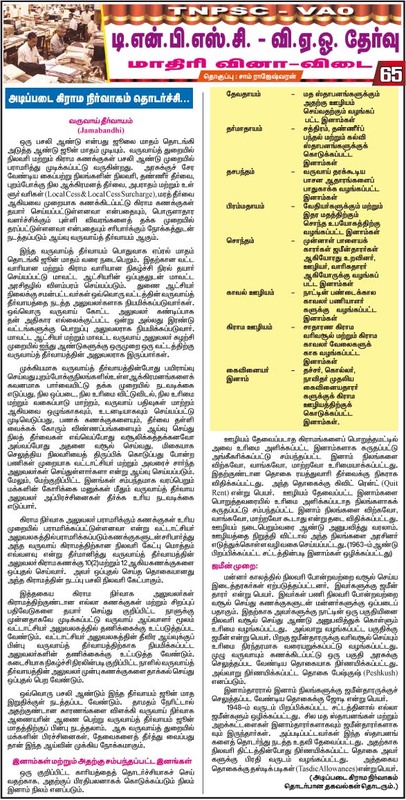 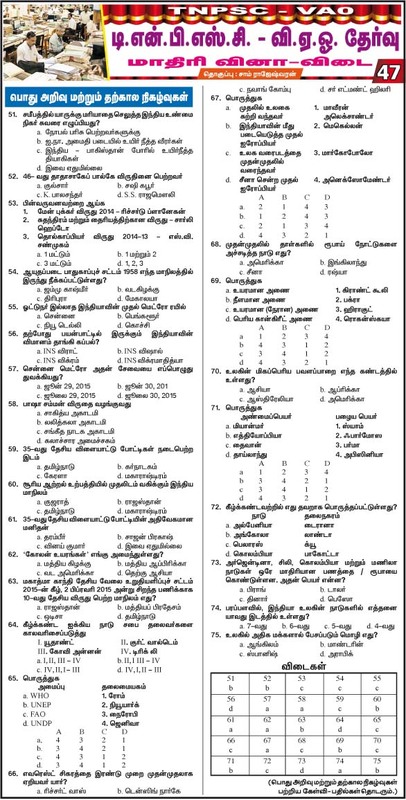 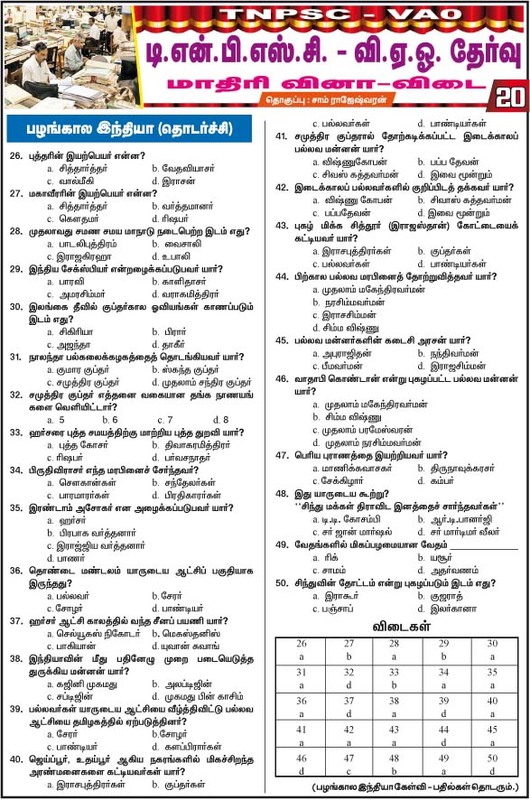 Particularly, the VAO Model Questions were appreciated by many aspirants, because TNPSC VAO Exam conducted on 14.06.2014 has many of the questions from Dinathanthi Newspaer VAO Model Questions (Basic of Village Administrative Officer portions). 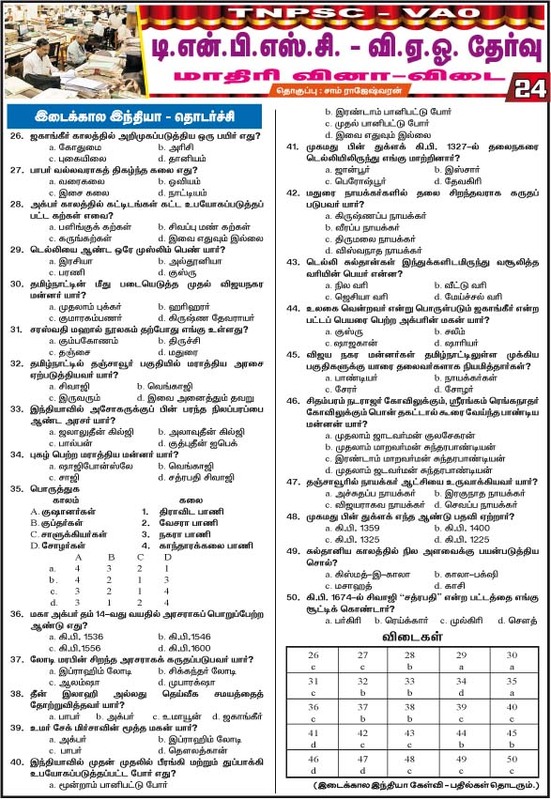 So don't miss this model question papers. 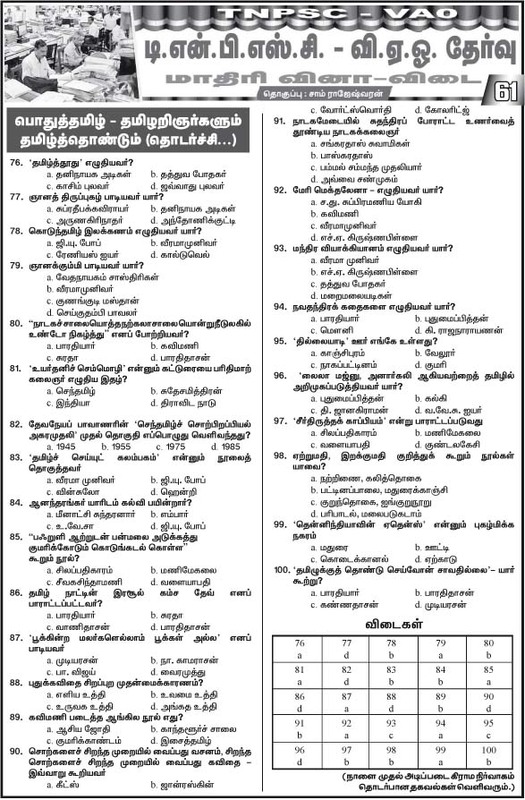 All the best for your success ! 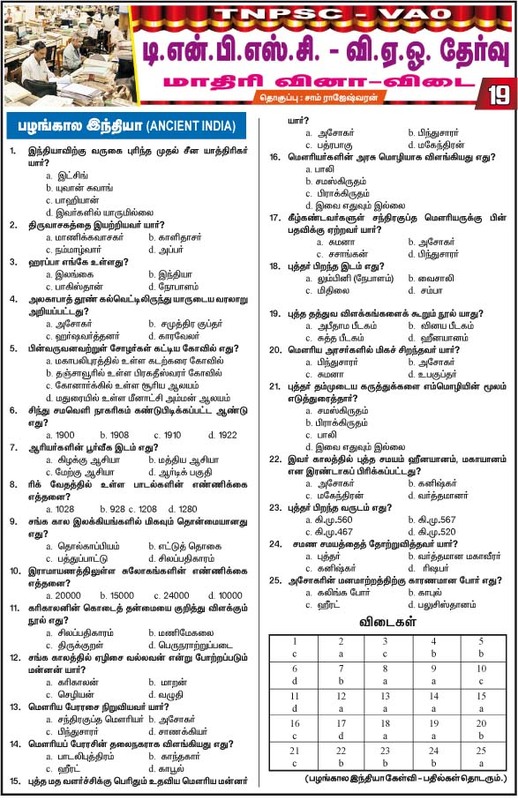 Looking for more TNPSC VAO Model Question Papers / Study Materials ?